. TWO NEW RECORDS AVAILABLE NOW!!! 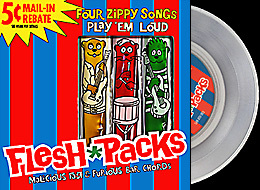 Click any record for sample MP3s, then buy the records for the other songs. Record sales will help keep ROCKOMETER.com open. Thanks! Clear Vinyl !!! 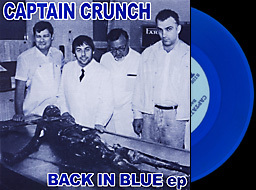 Captain Crunch "Back in Blue"
If you are confused or outside the US please EMail me.